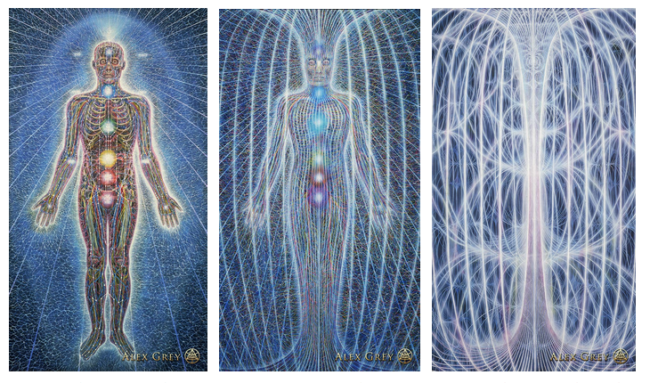 Allyson Grey, artist, writer and social sculptor, has co-written and edited a dozen books and all seven volumes of CoSM Journal of Visionary Culture. 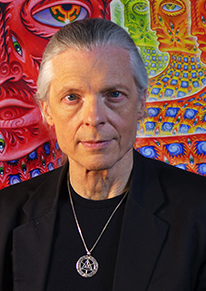 Since 1975, Allyson has been artistic partner and studio mate of artist, Alex Grey. 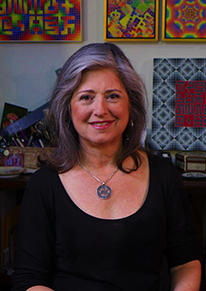 With a Master of Fine Arts from Tufts University, Allyson has been an educator and muse to artists for over 30 years. Alex and Allyson are the parents of actress, Zena Grey. allysongrey.com Together, the Grey co-founded the Chapel of Sacred Mirrors, CoSM, an interfaith church since 2008, celebrating creativity as a spiritual path. 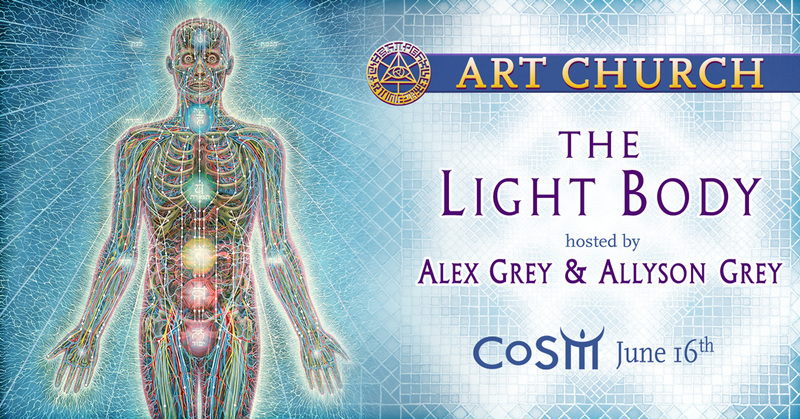 • BRING DRAWING MATERIALS including colored pencils, pens or watercolor and a sketch book or pad. • Journaling and poetic expression also encouraged.